Large, strong and light, reliable and functional avalanche shovel. The Razor D cuts through the hardest avalanche snow. Its size and sturdiness make it the first choice of professionals. 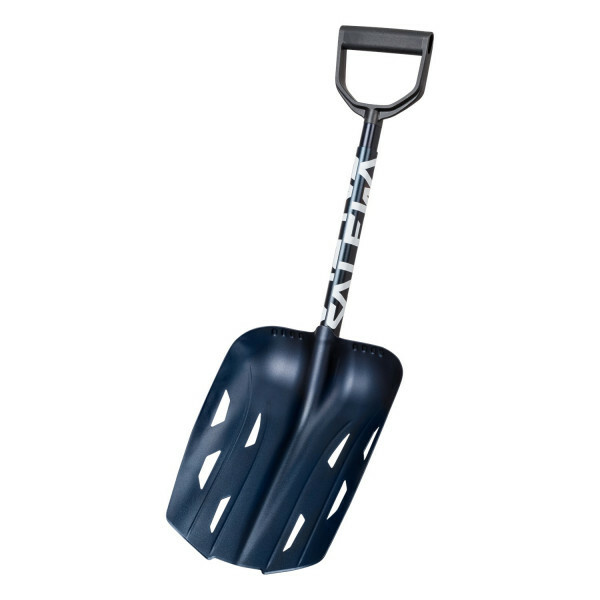 New professional aluminium shovel with extra sharp and extra large blade made from highly rigid tempered aluminium; penetrates even the hardest avalanche snow with low resistance. Ergonomic Progrip telescopic shaft with sanded-print grip zone and D-grip for perfect transfer of force. Yet the total weight of the tool is an exceptionally low 720 grams.